Charles Edward Torr – the long and the short of it! Private Charles Edward Torr’s name appears on a Cross Country Trophy awarded to the 93rd Brigade of the West Yorkshire Regiment on 17th March 1918. Born: Rotherham District in 1896. Residence: 1911 census (Find My Past, 2015) he was living at 87 Brown Street Rotherham with his father John George (a moulder in the steel works), his mother Florence, brother Frederick (aged 26, an iron worker) and sister (also Florence, aged 18). Charles, aged 15, is described as a labourer in the steel works. 11th January 1915: His attestation papers (Find My Past, 2015) show that he enlisted in the 17th Service Battalion of the West Yorkshire Regiment (crossed out and replaced by 25th August 1915). Where the paper says “place” Leeds is also crossed out and replaced by Chisledon. Chisledon Camp: Near Swindon. A key training facility in WW1 and WW2. It had its own railway station and hospital and good links with the North. 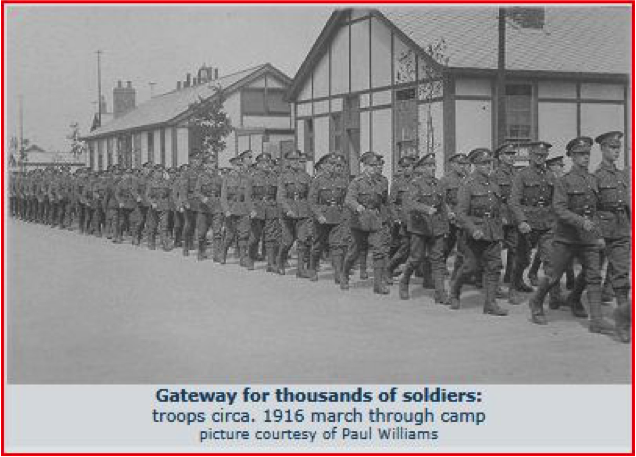 Figure 1: Troops Marching Through Camp. (SwindonWeb, 2015). He was 19 years and 9 months old – so had no need to falsify his age. He was living at 8 Sydney Street Rotherham. He was unmarried, 5ft 2 ¾” tall with a chest measurement of 36 inches and a mole on the back of his neck. As he was below the minimum height he joined the 17th Battalion, which was a Bantam Battalion. His next of kin was listed as his father John George Torr. Charles Torr’s service record survives (Ancestry, 2015). The record says quite clearly that he enlisted in the 2nd Leeds Battalion on January 11th 1915 in Leeds (No mention of Chistledon!). His first posting is illegible but he was also posted on 7th December 1917 in the 15th/17th Battalion -The Bantams did not take part in major fighting but were used for holding and defending trenches. As a result of Bantams no longer being considered suitable for active service the Pals and Bantams were amalgamated to form the 15th/17th Battalion in December 1917. (The Long, Long Trail, 2015). Figure 2: Service Record (Find My Past, 2015). The Distinguished Conduct Medal awarded for exceptional valour is regarded as second only to the Victoria Cross in prestige. It entitled Private Torr to use the letters D.C.M. after his name and was announced in the London Gazette. He was reported missing on 23rd March 1918 (Ancestry, 2015) very shortly after the award of the trophy (March 1918 was a month when numerous members of the Battalion were either captured or killed). He was then reported to be a prisoner of war at Parchim camp– no date visible. The receipt of a postcard (Service record Ancestry) from Private Torr verified this. Parchim camp was built on a former cavalry drill ground 3 miles from the town. 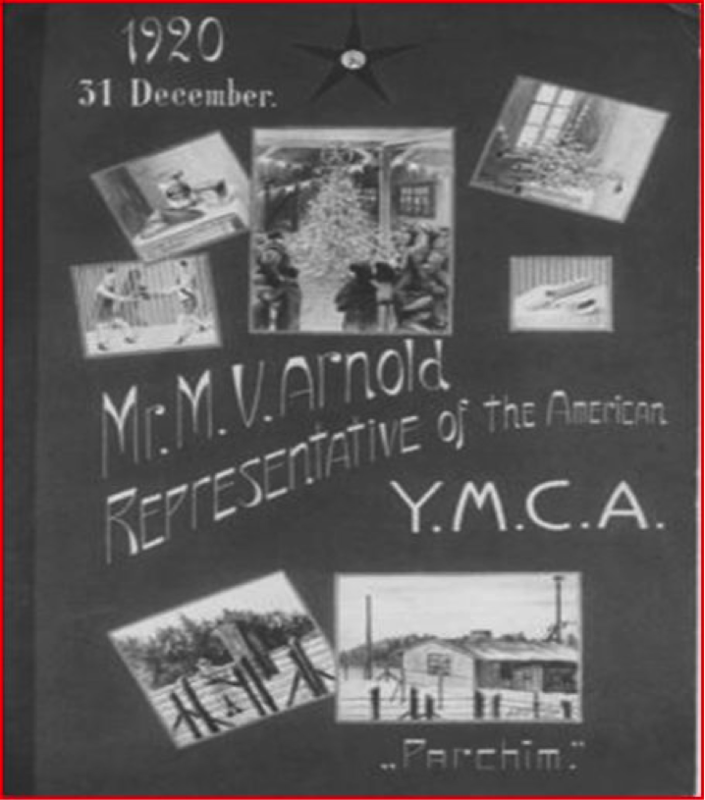 It held 25,000 men with a further 45,000 registered at work camps. Figure 3: Postcard from Private Torr (ScholarWorks, 2015). The inspectors found the midday meal to be “very palatable and nutritious”. The food situation may well have worsened as the war progressed. The Brighton Gazette of January 26th 1921 described the camp as “the camp of death” and referred to the “terrible suffering“ of British POW’s in the severe influenza epidemic that occurred after the armistice was signed. Figure 4: Brighton Gazette article (Alamy, 2015). 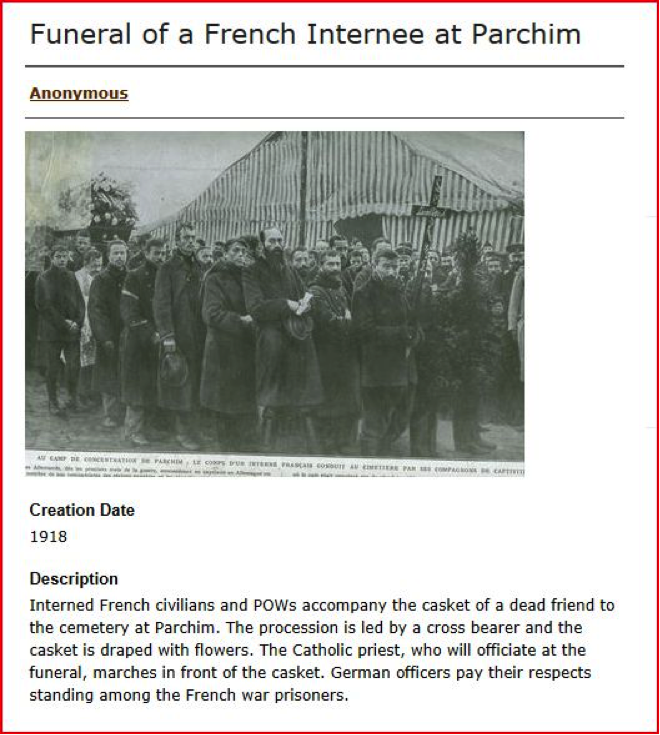 Although the details are difficult to read, Private Torr seems to have left Parchim on 29th July 1918. He was demobilised on 4th March 1919 as Class Z which meant that he could be called back should he be needed. An army form for receipt of medals dated 19/6/19 (Ancestry, 2015) gives his address as 8 Sydney Street Rotherham but on a further form dated 8/10/21 he had moved to 11 Walker Street – unfortunately the rest is illegible. He was awarded the Victory Medal and British Medal as well as the Distinguished Conduct Medal. Marriage: Charles Edward Torr married Evelyn Hill in the Rotherham district in the second quarter of 1923. Margaret B – 1927 (daughter). Joan M. – 1928 (daughter). Barbara H. – 1931 (daughter). Ralph A. – 1938 (son). Death: All of the children were born in the Rotherham district but it is possible that the Charles Edward Torr who died in the fourth quarter of 1970 in Hillingdon, Middlesex is the same Private Charles Edward Torr (Find My Past, 2015). Cecil Arthur Coles – a double life? Cecil Arthur Coles, probably known as Arthur, and given by this name in the Leeds Pals (Milner, p.260), was born in September 1895 in Leicester according to the birth records (www.freebmd.org.uk 2015) but 18th July 1894 according to his attestation form (Find My Past, 2015). In my view this may be an example of adding to his age to make him appear older. The son of Alfred Henry Coles, boot and shoe factor in 1901, cycle fitter in 1911, and Eliza Ellen Billings. Only 3 of their 8 children were still living, Alfred, Cecil and Lawrence. They lived at 6 Arundel Street, Northampton in 1901, but by 1911 had moved to 31 Palin Street, Hyson Green, Nottingham (Find My Past, 2015). When he attested on 8th December 1915 he gave his address as 195 Warwick Road, Greet, Birmingham, though on a later form Greet had been replaced by Sparkhill, where Warwick Road actually is. He was unmarried and his next of kin was his mother, Eliza Ellen Coles, of the same address, who received his separation allowance. His height was 5ft. 8.5ins, making him about average. His occupation was given as ‘gun trade’, working for the Birmingham Small Arms Company. However, on another form his occupation was given as Cycle Fitter, as it was on the census, also a branch of BSA (Find My Past, 2015). 1915 8th December: Attested and placed on Army Reserve List. 1916 13th October: Rejoined Colours. 14th October: Posted to No.2 Depot RFA. 15th October: Posted to 7th Reserve Battalion RFA. 25th November: Transferred to No.3 Reserve Training Battalion. 9th December: AWOL for 2 days, fined 2 days’ pay. 1917 12th January: Transferred to 17th Battalion, West Yorkshire Regiment and sent to France, landing at Etaples, remaining there until 27th March 1918. 19th August: Again AWOL and sentenced to be tried by Field General Court Martial. Charged with deserting His Majesty’s Service, absenting himself from his battalion in the front line trenches and remaining absent until 1st September 1917, when he surrendered to Military Police in Boulogne. Found guilty and sentenced to 3 year’s penal servitude. Although the sentence was confirmed it was directed that he should not be committed to prison until further orders. 1918 4th May: Sentence remitted. The GOC of the brigade dealing with the Court Martial was Brig.Gen. Stuart C Taylor. 9th February: Given good reference by Maj. Gibson, Acting CO of Leeds Pals, following request from HQ. Referred to as ‘Private W Coles’, but army number is correct. Mistake dates back to at least the previous December. 14th to 18th February: On leave. 27th March: Again missing, but the following day reported a POW, which seems very fast for capture to be confirmed. 3rd May: Lt.Col. WD Coles, CO of Leeds Pals, gave him good character reference in relation to his absence, but also referred to him again as ‘W Coles’, a mistake repeated by Brig.Gen. Taylor. 22nd November: Returned to England. 1919 24th March: Volunteered to be retained by the army. 20th April: Change of address recorded, to: c/o Mrs Tincy (name unclear), Twywell, Nr. Thrapston, Northants. 20th September: Issued with Protection Certificate and address given as 195 Warwick Road, Birmingham. Listed as 169 Protection Company, 3rd Battalion, West Yorkshire Regiment. 18th October: Transferred to Class Z Army Reserve on demobilisation. Awarded the Victory Medal and the British War Medal (Find My Past, 2015). Despite numerous punishments, including one for desertion, he was given good character references by two of his officers, and ultimately a promotion. He volunteered to stay in the army, although his offer was not taken up. He was obviously a sporting type, since his name was on the Cup awarded to No.4 Platoon in March 1918, for winning the inter-platoon competitions up to corps level at the Divisional Sports. There are two very different birth dates given, and when a soldier falsified his age for enlistment purposes it was generally only the year that he changed. Also in this case it was hardly necessary, since either birth date would have given an age between 18 and 20 in 1914, and there is no suggestion of enlisting before 1915. There appear to be 2 different names, or at least initials. In the 1891 Census the family is living in Brentford, Middlesex, in 1901 in Northampton, then in 1911 in Nottingham, and the children were born in Leicester, so they obviously moved around a lot. On the attestation form Coles is living near Birmingham, but in 1919 there is a change of address to Northants, and then back to Birmingham on discharge. He was in the RFA for about 3 months, mainly in the Reserve, before being posted to Leeds Pals, an Infantry battalion, before finishing in the 3rd Battalion, though this last was probably just the result of amalgamations. It makes me wonder whether two soldiers have become confused in the records, unlikely though it may seem, but so far I have found no actual evidence to support such a theory.